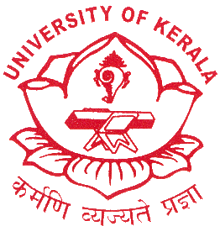 The University of Kerala is among the first sixteen universities of the country. It was earlier known as the University of Travancore, and was founded in the year 1937. Currently, the university comprises of 16 faculties and 41 educational departments. Research, knowledge extension and regular learning ae a mandate here. There are certain study centres dedicated specifically to subjects like Bioinformatics, Learning Difficulties, Nanotechnology, Sree Narayana Studies, Women’s Studies, Gandhian Studies, and many more. Certificate, Masters, Diploma, MPhil and PhD programmes are taught here. All the institutions within the university together have over 5,000 students studying currently. Choice-based Semester and Credit System is followed here for all post-graduate programmes, and the university is trying the same for undergraduate programmes as well. It has a spacious campus, adjacent to the capital city’s technopark. Undergraduate as well as postgraduate programmes in various traditional and new disciplines are taught here. The university won the Chancellor's Award for the Best University in the state. It has a Centre for Global Academics to facilitate learning for international students and include programmes and schemes taught abroad with credit transfer facility. Many prominent figures we know today, have been honoured by the University of Kerala - Amartya Sen, Bharatha Rathna M S Subbalakshmi, K J Yesudas, Ilya Prigogine, Chief Justice K G Balakrishnan, O N V Kurup and many more. The School of Distance Education (SDE), University of Kerala was established in the year 1976. It is known to be one of the best distance education centres in the state of Kerala. To facilitate quality education and learning to senior citizens, women and other disadvantaged sections of the society. To create career advancement for individuals seeking updated knowledge and skills. To facilitate training in various technical skills. To be a part of human resource development. To make learning an enjoyable and life-long accessible process. Master of Business Administration (MBA) is known to be one of the most prestigious and progressive programmes in the country. It teaches you various managerial skills and equips you with a better and groomed mind for the corporate world. If you wish to study the basics of business administration and management, application of management and business principles, and make a top-notch career for yourself, then the Kerala university distance MBA programme is for you. And distance education makes it even better for you to pursue it along with your regular job, that too conveniently. ​Kerala University distance education MBA Programme offered under the School of Distance Education is of two years, that comprises of four semesters. However, you can complete the programme in four years after joining as well. However, self-learning materials and personal contact programme are offered by the School of Distance Education for three specializations, i.e. Marketing Management, Finance Management and Human Resource Management. For the remaining two specializations, the candidates must study on their own. If you apply for dual specializations, then you would be required to choose minimum three courses from each specialization. The certificate for dual specialization will be issued once you apply for it with the requisite fee. 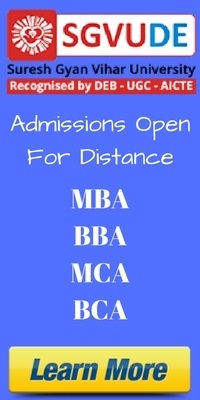 ​The candidate applying for Kerala University MBA Distance Education, must hold a B.Com./B.A./B.Sc. degree from the University of Kerala or any other equally recognized university with not less than 50% marks. For SC/ST candidates, a qualifying degree with passing marks is enough. If the candidate has 5+ years of supervisory experience, he/she will be given 3% concession in the qualifying marks. The admission should be as per the guidelines of Distance Education Bureau, Government of India. After completing each semester, students are required to clear the examination before they promoted to the next semester. 75% attendance in each course in each semester is required to be eligible to appear in the examination.